Poly-Mer is a 12-seater punt built by Mark Edwards MBE, a Richmond-based boat builder who built the royal barge Gloriana. "We once pulled a Kinder Egg full of class A drugs out of the water and had to call the police in," Karina Toolan tells a group of female engineers. Toolan is project coordinator at Hubbub, and the engineers have slipped off-site and into the glare of the midday sun for a team-building exercise with a sustainable twist. While Blue Planet left millions distraught at the sight of whales unwittingly passing on pollutants to their calves and albatross chicks dying from a man-made diet of plastic waste, Hubbub gives you the chance to do something about it. 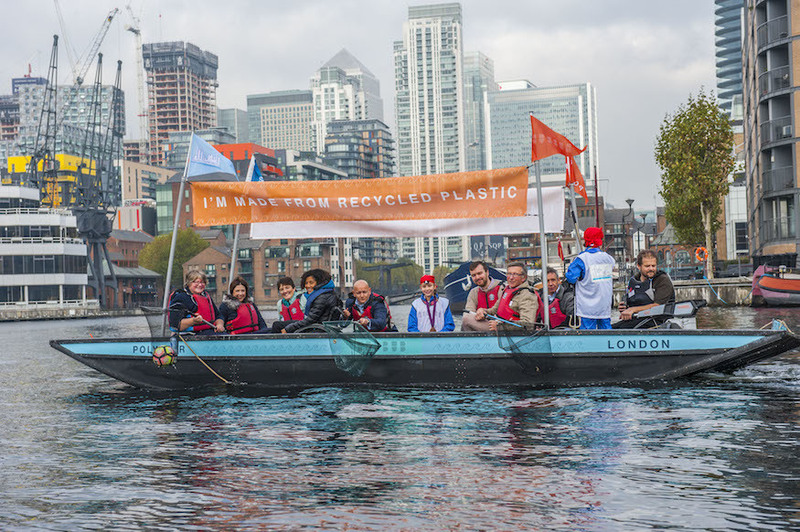 The social enterprise runs plastic fishing trips around the docklands on Poly-mer, a 12-capacity boat made entirely from recycled plastic. On this outing, our contraband isn't hard drugs but sodden, ubiquitous litter. We hook out shiny crisp packets, soggy sandwich packaging and numerous drinks bottles — all signs of our eat-on-the-go-and-throw culture. Our catch of the day? A toss-up between an empty weed bag and a laminated sign giving notice of the removal and destruction of a vehicle. We wondered if the car also came to a watery end. 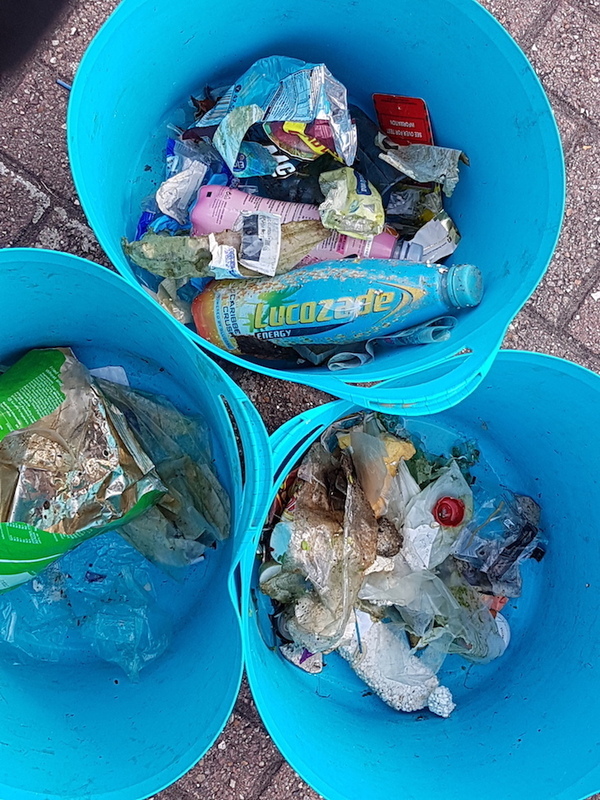 Litter woes: rubbish fished out on our plastic fishing trip with Hubbub. While we're zipping along the waterways that snake between the glass and steel towers of London's financial district, Canary Wharf Group announces its commitment to becoming the world's first plastic-free commercial centre as part of Surfers Against Sewage's Plastic Free Community initiative. It's not alone in waging the war on plastic. 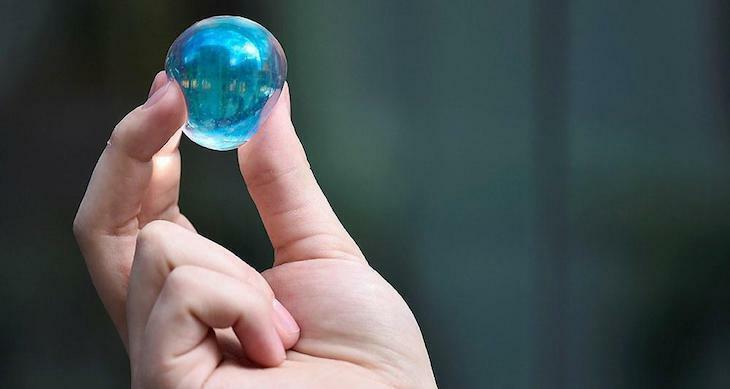 Across the capital, businesses and individuals are picking up the sustainable batton thrown by Blue Planet and running with it. Here's our guide to going plastic-free in the city, plus some top tips from London's zero waste warriors. If you're thinking about going plastic-free for life, the bulk buy store is going to be your new best friend. 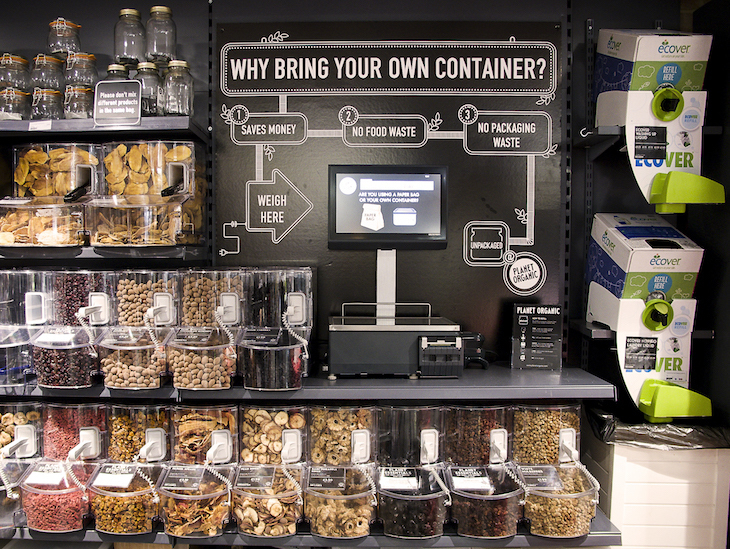 The Blue Planet effect has caused a spike in zero waste shop openings across the UK but the concept of filling up your own container and paying by weight isn't a new one. 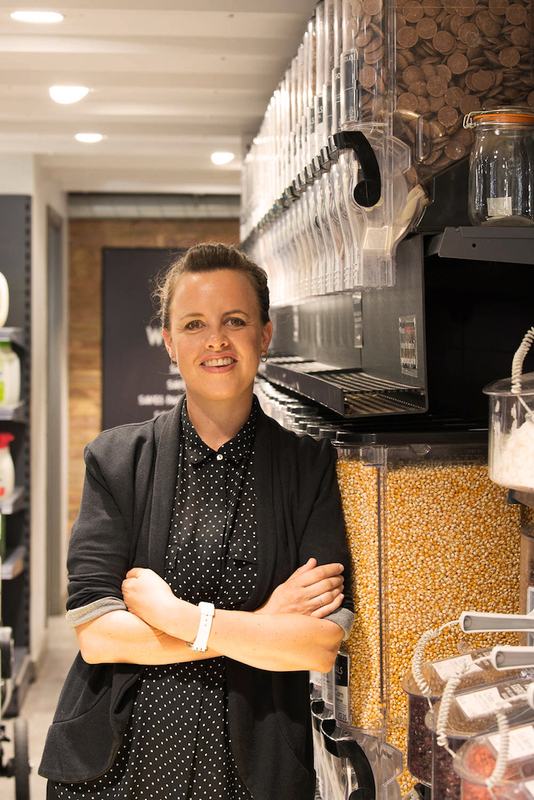 Original queen of green and founder of sustainable shopping solution Unpackaged, Catherine Conway began selling cleaning product refills back in 2006. Since Blue Planet aired, Unpackaged sales at Planet Organic have increased by 40% and the range has expanded from one to four stores. Now Conway uses her business know-how to advise others who want to set up zero waste shops around the UK. "It's a slight misnomer as there is no such thing as zero waste," she says. "There are very few products that travel from producer to consumer without using packaging at all in the supply chain. As a retailer, we've managed to create zero waste for the consumer and that's a really important step because without consumer demand we can't force the rest of the supply chain to change." Far from boycotting plastic altogether, Conway advocates a model where plastic is used and reused as part of a circular economy: "I'm not anti-plastic per se, but I am anti-single-use/disposable. Besides," she adds, "is making the switch from plastic to card and paper sustainable? Aren't we just swapping out one resource for another? Perhaps if we can move to reusable products then we might value the material more." Conway's advice for Londoners starting down the polymer-free path? Buy second hand, buy local and don't aspire to be Instagram perfect. "You don't have to have a matching set of Kilner jars – your leftover Chinese takeaway containers will do the job just as well." Top tip: stock up on tupperware and tote bags then use our zero waste map to track down your nearest bulk-buy shop. The average Londoner buys more than three plastic water bottles every week — that's 175 bottles every year per person. With each one taking an alarming 450 years to decompose, you could do the environment a favour by buying a reusable bottle (such as Chilly's, stocked by Harmless and other shops). 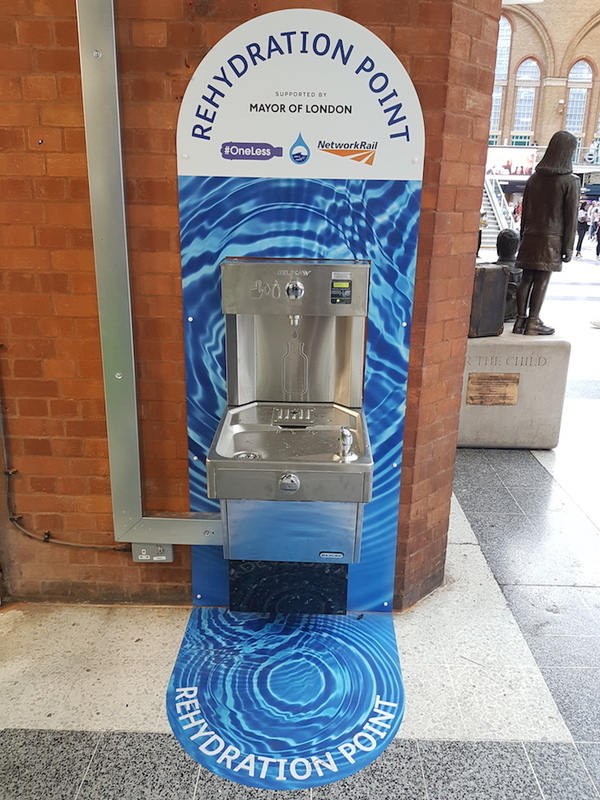 Download the Refill app to keep hydrated on the go or swing by one of the city's new drinking fountains, launched as part of the mayor-backed One Less Bottle campaign. Can't give up the bottle? Feed your empties to the reverse vending machine in Canary Wharf. Currently, it only gives you a thank you note in return but plans are in the works for it to give out discount vouchers. Want to get your caffeine fix without adding to the seven million cups which are binned each day in the UK? We're fans of the William Morris range of Ecoffee Cups (stocked by Planet Organic and others). It's created from bamboo and comes with a no-drip lid. A less practical but more exciting solution is to do away with packaging altogether. At Selfridges, you'll find a concession selling flavoured water contained in a thin seaweed film which is edible and biodegradable. Skipping Rocks Lab, the London start-up behind the innovation, recently announced a collaboration with Just Eat to bring out edible sauce sachets. Got a bee in your bonnet over food waste? Unlike foil and clingfilm, reusable beeswax food wraps are breathable, biodegradable and antibacterial. The 100% natural wraps from Bee Green London come in four pretty patterns and the company gets bonus points for donating 10% of its profits to charity Bees for Development. "There are five types of plastic which are very easy to quit: plastic water bottles (buy a reusable); take away coffee cups (bring your own to the shop); plastic straws (just sip from glass or bring a reusable in your bag); plastic carrier bag (bring a canvas bag); plastic cutlery (swap for a bamboo spork or just pack a real set in your bag). Just these changes can make a huge impact." - Ingrid Caldironi, founder of forthcoming zero waste shop Bulk Market. Guilt-free booze and free tap water from Tap13 in Tooting. From the Wetherspoons pub chain to London City Airport, companies are calling last orders on the plastic straw but at Tooting's newly opened Tap13, it's not just the straws that have been given the boot. It serves up garnish-free drinks, from keg to tap to glass to mouth, with nothing in between. "Our perceived need for disposable packaging is deeply ingrained. As a bar serving up cocktails, the initial instinct was to use various pieces of paraphernalia to “dress” the drink," says owner Paul Belcher. "But we reminded ourselves that the key to our concept is simplicity." 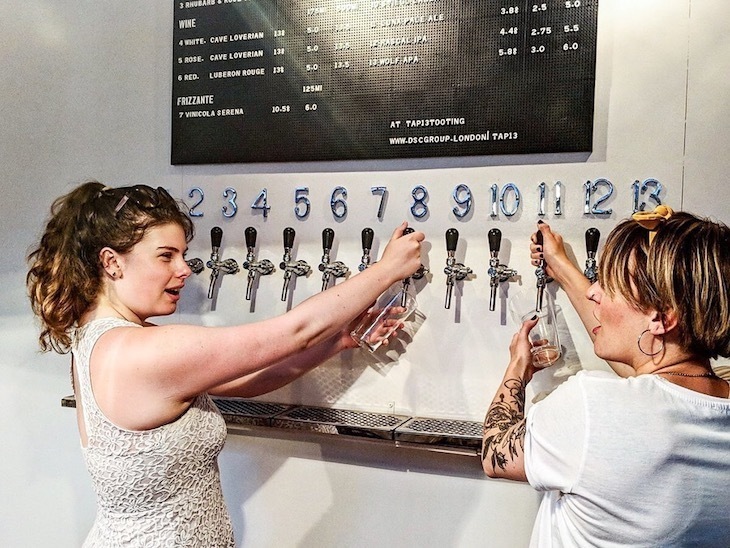 The 13 taps dispense beer, prosecco, wine and pre-mixed cocktails from refillable kegs. 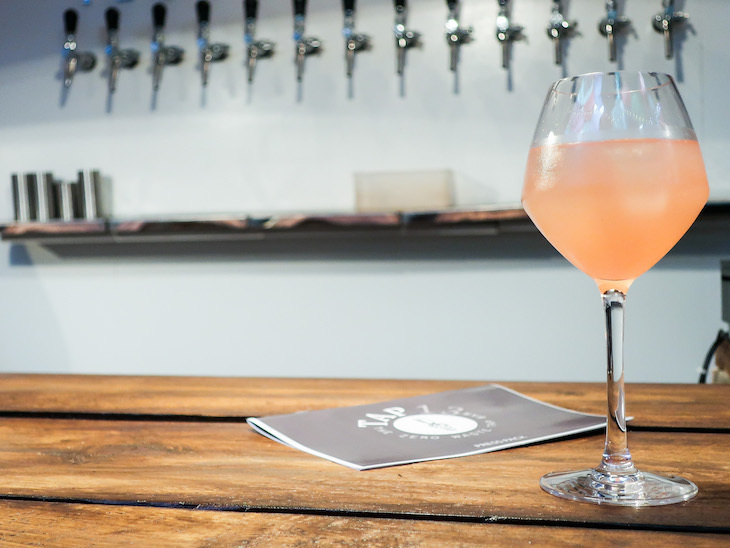 Similarly to Clapton Craft and Borough Wines, the compact bar offers refillable growlers so customers can enjoy its eco boozy offerings at home. Cheers to that! 1. Choose plant-based cutlery and organic booze at Grow, Hackney Wick. A lively canal-side arts venue, kitchen and bar in a former sausage factory serving up organic wine and seasonal locally sourced dishes coupled with biodegradable cutlery. 2. Reuse and refuel at Gourmet Goat, Borough Market. As well as having a solid waste reduction plan in place, this ethical trader serves up delicious Mediterranean-influenced dishes in compostable packaging from Environpack. Its refillable bottles are made from recycled plastic and its juices come in glass bottles. 3. Splash out on sustainable set courses at Cub, Hoxton. Got a special occasion coming up? Book a gold-flecked table made from upcycled yoghurt pots and tuck into the most indulgent spread of leftovers you've ever tried. Don't forget to pop next door for sustainably mixed tipples from low-waste cocktail bar Super Lyan when it reopens. You can even take home a reusable bamboo straw for 25p. Don't let your passion for fashion damage the environment — simply switch up where you shop. Ethical indie Birdsong produces both sustainable and stylish womenswear. 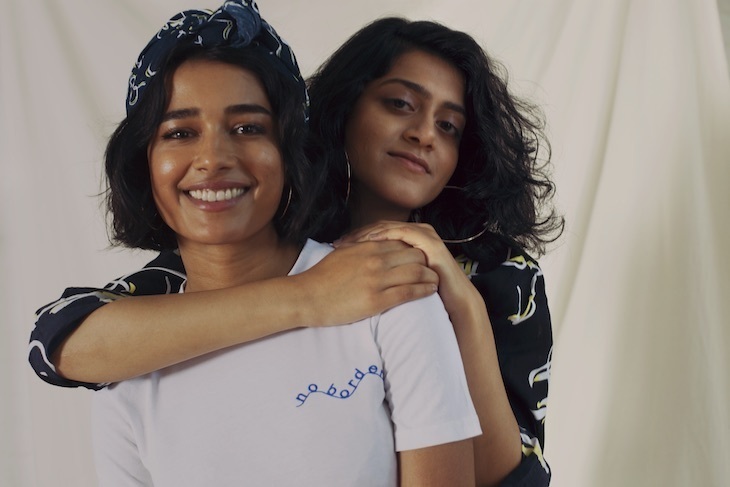 The London-based brand has a no sweatshops, no Photoshop policy, so you can be sure your purchase was made by someone who was paid a London Living Wage. Did you know a single clothes wash can shed as many as 700,000 synthetic fibres? Faced with this shocker, Birdsong co-founder Sophie Slater shifted the focus from reclaimed fabrics to clothes made with hand-woven organic fibres and bamboo. "After reading up on microplastic fibres in polyester we were losing sleep a bit, so we've swapped out the gorgeous reclaimed faux furs and polyesters for handwoven Khadi instead," she told us. But there are plenty of London designers who are proving plastic can be fantastic. Take London/Berlin designer Pentatonic for example, which turns plastic bottles, phones and even cigarettes into super stylish furniture. Or Brodie Neill, whose marble-like ocean terrazzo table was created from tiny bits of plastic collected from beach shorelines and Smile Plastics, which moulds yoghurt pots, food packaging and plant pots into good-looking panels — recycling at its finest. Know the Origin stocks ethically made wardrobe staples for men and women.With more than 30 planet-friendly brands involved, you'll be rocking the eco-chic look in no time. Browse this lovingly curated selection of great gifts that give back. Products include framed pressed flowers from Botany London, which donates 10% of its profits to The London Bee Collective. Sign up to Melissa Bowden's newsletter via her website to hear about future pop-ups in London and Brighton. Katie Dent's sustainable stall at Hackney Downs Vegan Market is your one-stop-shop for plastic-free goodies. Think compostable cotton buds and bamboo toothbrushes, organic skincare products and 100% cotton kid's clothes. Plus recycled hosiery from Swedish Stockings, which weaves carpet fluff and fishing nets into their tights. One person's trash is another person's treasure n'all that. Know a zero waste shop we've missed off the map? Get in touch. Hubbub takes corporate groups and school children plastic fishing around the Docklands on ‘Poly- Mer’, a recycled boat. Find out more here. "I Detonate Second World War Bombs For A Living"